"Hurt Locker" showcases a lot of great vocal ability and a catchy hook. Not to mention, a characteristic girl group choreography. We think that a group like TWICE would take this song to the next level. Subin's reach as a solo female vocalist is pretty expansive, yet this song still is fairly underrated in the grand scheme of the charts. Her gorgeous timbre is a must-listen if you're unfamiliar with this track. If IU was the performer, this song would be popping off on the Melon Charts without a doubt. Four members? Powerful vocals? Remind you of a group you know? How about SISTAR! 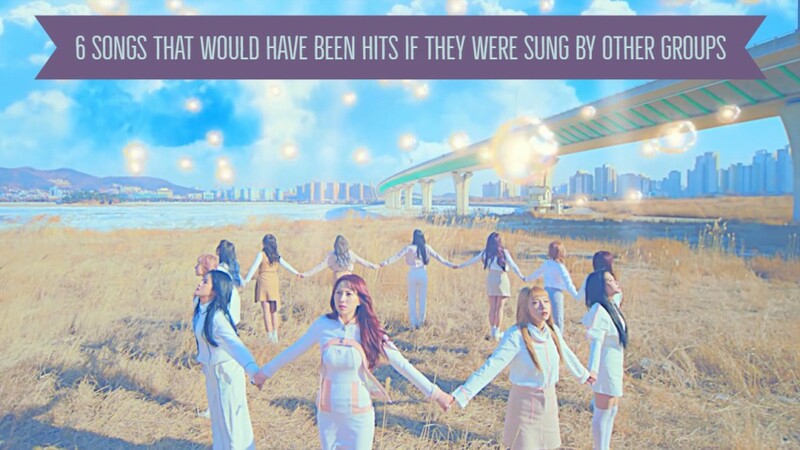 BESTie rocks this song, but if they gave this track to SISTAR, it would definitely get an all-kill. These girls are so talented and "Dreams Come True" was a certified bop. Fans were enamored with this song but it would have skyrocketed into worldwide popularity if TWICE or Red Velvet released it. Like everyone on this list, fromis_9 is severely underrated. "Love Letter" is one of the best K-pop songs released in 2018 and if G-Friend has released this, it would've been a super hit. This dramatic song never got the attention it deserved. It had everything we love about a soulful, yet sassy girl group track! If MAMAMOO took this song and did a rendition of their own, it would blow up. sad that good music gets over looked because of who is singing it. Why do I have an inkling feeling that this article was published in response to all the talk on IZ*ONE debuting with La Vien Rose when it was originally meant for CLC and the debate on if it would’ve been as big of a hit if CLC had released it. Basically ANY Song will be a hit if the top boy group or girl group releases it. Heck groups like BTS, Twice, EXO or Blackpink can comeback with a rendition of “twinkle twinkle little star” and it would still top music charts and gain millions of YouTube views. Just because a song is a hit, doesn’t nessesairly mean it’s a good, well composed song (not saying they aren’t good because a lot of them are). There’s dozens if not hundreds of hidden gem songs released in the past decade that never got the attention they deserved, 6 songs is nothing, especially written in they way it’s written here.